The weather is definitely getting colder around these parts! We had overnight temps in the 20’s the last few weeks. When the temps start to drop like this, my whole family and I really start to enjoy soups, stews, chilis and casseroles. In fact, our idea of a great night is spent at home around a fire, enjoying a hearty meal! This is our first Winter in a single family home, so my daughters cannot wait for the first snowfall. They want to play with the snow and build snowmen and slide down snow hills! We’re really looking forward to all the Winter fun ahead of us. However, when we come indoors after an afternoon of playing outside in the cold, there’s nothing quite better than sitting down to a nice, hearty casserole! 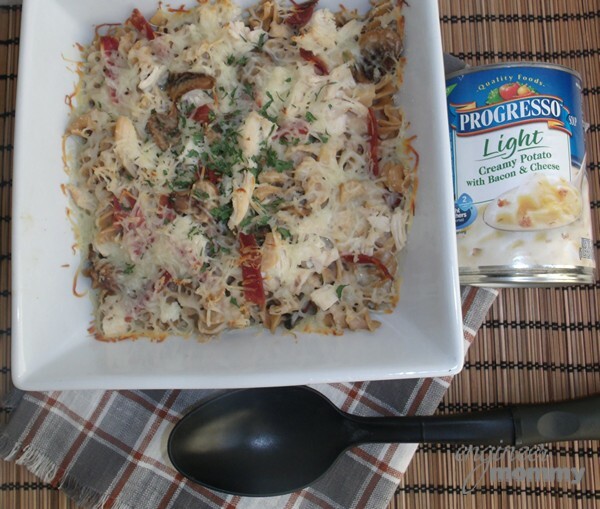 And today, I’m sharing the recipe for a Skinny Cheesy Chicken Casserole. This casserole is lower in calories and fat than a traditional casserole, thanks to all the waist-friendly ingredients, including the delicious Progresso® Light Soups. This is a meal that satisfies the stomach and the soul! Now that the holiday season is over, it’s definitely time to get back on track with my health & wellness goals. 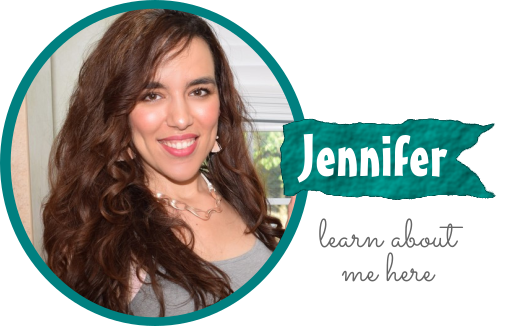 This means I am making making & serving my family delicious meals that are well-balanced and nutritious. That’s why I love this mouthwatering Skinny Cheesy Chicken Casserole. It’s filled with ingredients that are healthy, such as part-skim cheese, whole-wheat noddles, low-fat turkey bacon and rotisserie chicken. And the sauce of this casserole is made wholesome and delectable thanks to the Progresso® Light Soup Creamy Potato with Bacon & Cheese. 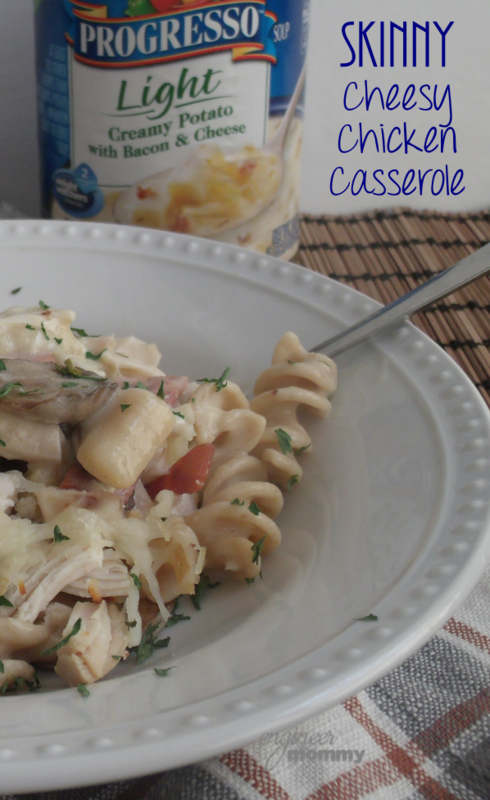 This soup provides so much moisture & flavor for this casserole! I picked up all the ingredients required to make this casserole during a recent trip to Walmart. 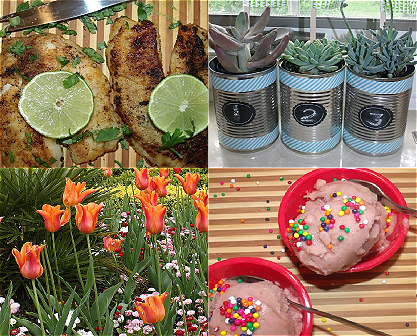 This recipe was really quick and easy to put together! 1. 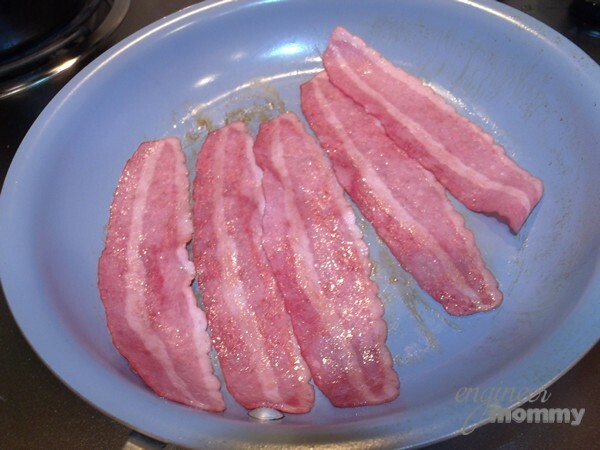 Fry the turkey bacon until browned and crispy. Remove from heat. 2. Add the mushrooms to the same pan and saute the mushrooms until they become soft. 3. Preheat the oven to 375 degrees Fahrenheit. 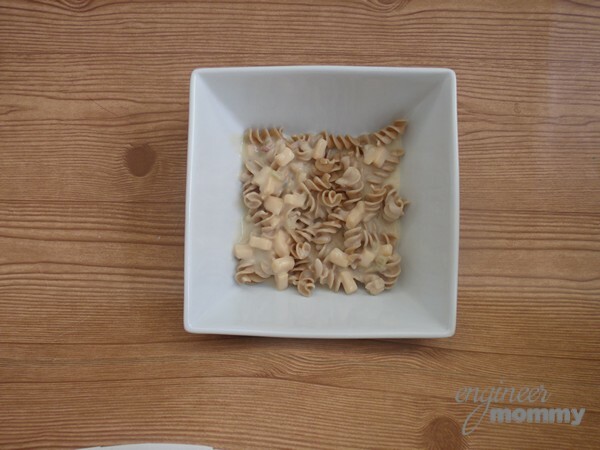 Place about 1/2 of the noodles at the bottom of the casserole dish. 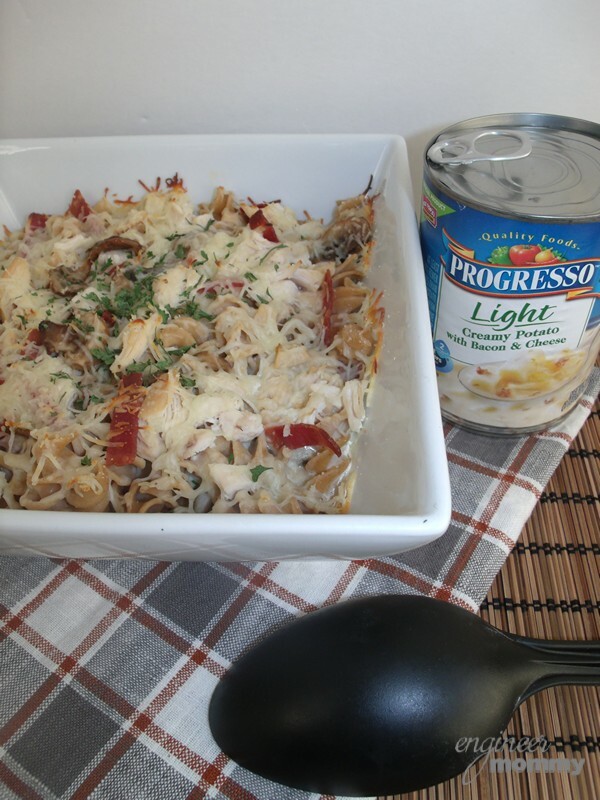 Top with 1/2 of the can of Progresso® Light soup Creamy Potato with Bacon & Cheese. 4. Add 1/2 of the chicken, sliced bacon and mushrooms on top. 5. Top with 1/2 of the shredded cheese. 6. Now, add the final layer of all the remaining ingredients in the following order: noodles, soup, chicken, bacon, mushrooms, and cheese. 7. Place the casserole dish in the oven for 25 minutes. 8. Take the casserole out of the oven and sprinkle the parsley on top. Serve warm. Now, here are a few tips to follow when making this casserole! After I finished cooking the turkey bacon on a frying pan, I removed the bacon from the pan and cooked the mushrooms in the same pan. 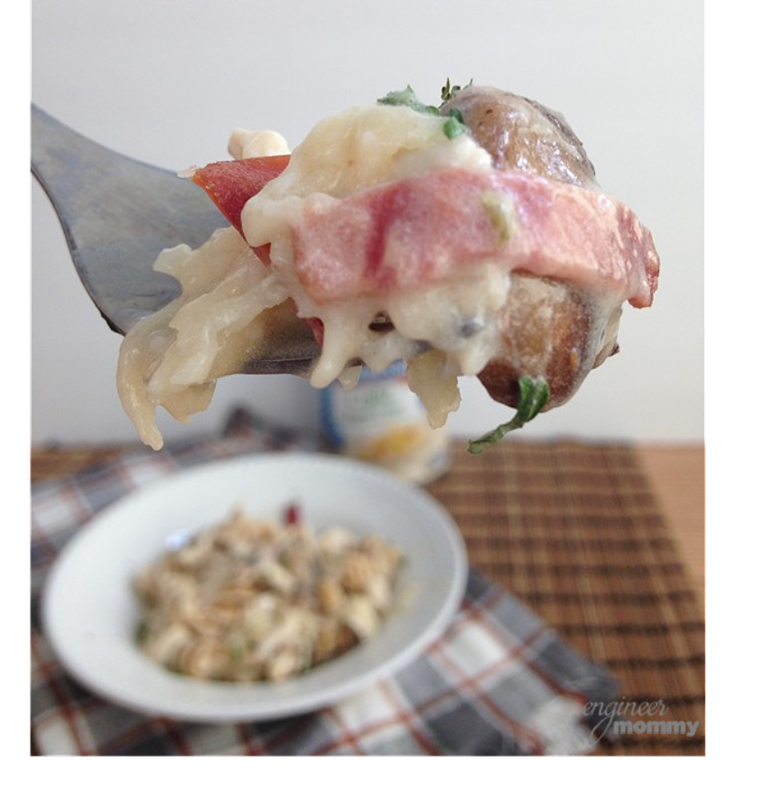 The grease left behind from the bacon lends a wonderful flavor to the mushrooms! And since we’re using turkey bacon, there’s not as much fat as traditional bacon! Whenever I’m making a dish like this that has many ingredients, I like to measure out all my individual ingredients ahead of time. It makes assembling everything together a breeze! And by having all my ingredients measured out in separate bowls ahead of time, I can more quickly assemble my casserole. This makes it effortless to place the various layers of this casserole in the baking dish. 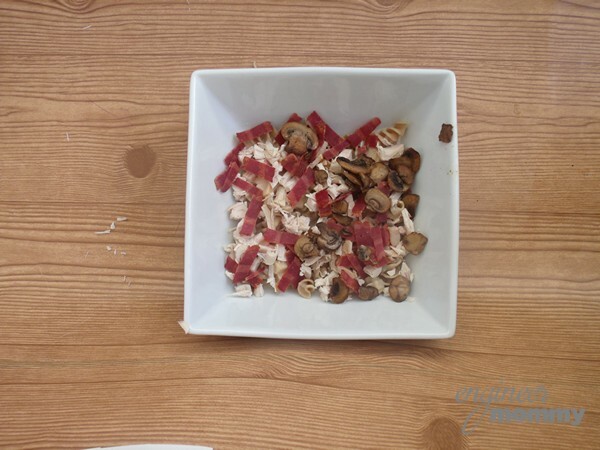 Here is the order of ingredients: noodles, soup, chicken, bacon, mushrooms and cheese. When I placed this in the oven, I covered it with aluminum foil for the majority of the time. I then removed the aluminum foil for the last 5 minutes of cooking. That helped to melt and brown the cheese! I was so proud and happy to serve this casserole to my husband and children. It was not only hearty and satisfying, but it was also very nutritious. My family really enjoys a hearty casserole like this during the cold Winter months. I’ve already had quite a few requests from my husband to make this casserole again! This one’s definitely a winner, my friends! Each bite has a fabulous balance of flavors and textures! 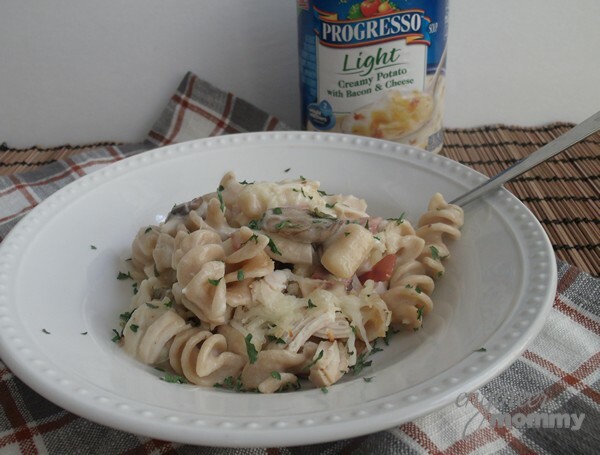 During my recent trip to Walmart, I also picked up a few other flavors of these Progresso® Light soups, including Chicken Pot Pie Style, Creamy Chicken Alfredo with Pasta and Italian-Style Vegetable. I feel like each of these flavors is perfect for a certain mood. I often crave soup during the colder Fall & Winter months. And there are definitely specific soups that I get excited about during certain occasions. When I feel like I’m developing some sniffles, I definitely love a nice hearty bowl of Progresso® Light Soup Chicken Noodle Soup. When I’m feeling like I need some comfort food, there’s nothing better than a warm bowl of Progresso® Light Soup Chicken Pot Pie. When I’d like a lighter lunch, I usually go for some Progresso® Light Soup Italian-Style Vegetable, along with a small salad. I recently came across this really cool video showing some of the behind-the-scenes work of The Recipe Team for Progresso®. 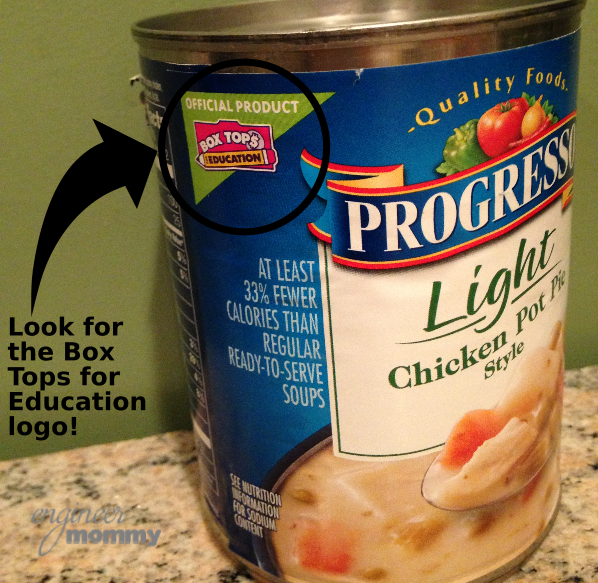 Another thing I love about these cans of Progresso® Light soups is that they offer Box Tops for Education. Participating in the Box Tops program is something I have done for many years. It’s really such an easy way to give back to your child’s school! All you have to do is clip the Box Tops from the package and send them to your child’s school. They are each worth 10 cents for your school! I always feel great about being able to give back in this way! Just look for the little logo! 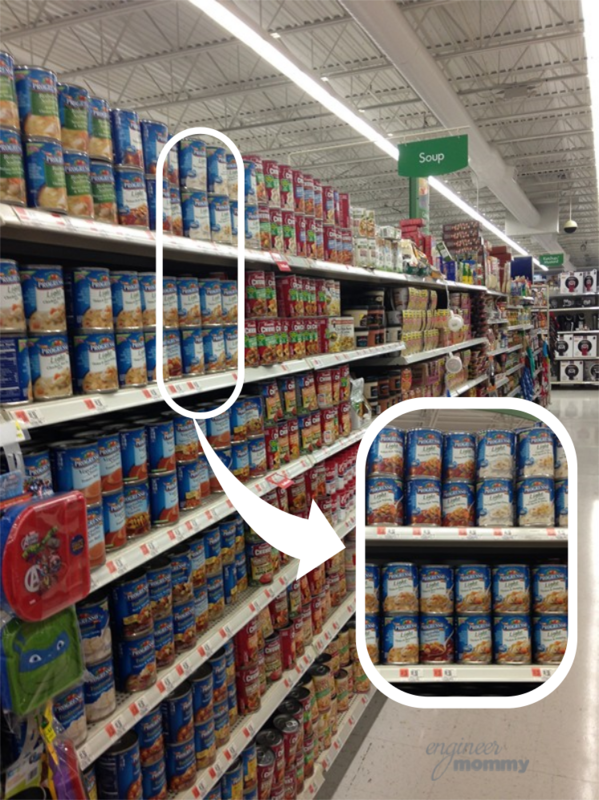 The next time you’re at Walmart, be sure to look for the Progresso® Light soups in the soup aisle! Oh, and before you head to Walmart, be sure to grab this coupon here to SAVE $1.00 ON FOUR when you buy FOUR CANS any flavor canned Progresso® Soups. This offer is available throughout the month of January 2016. Also, if you’d like to see a cute video I made of how this casserole came together (and then was consumed), check out this fun video below! 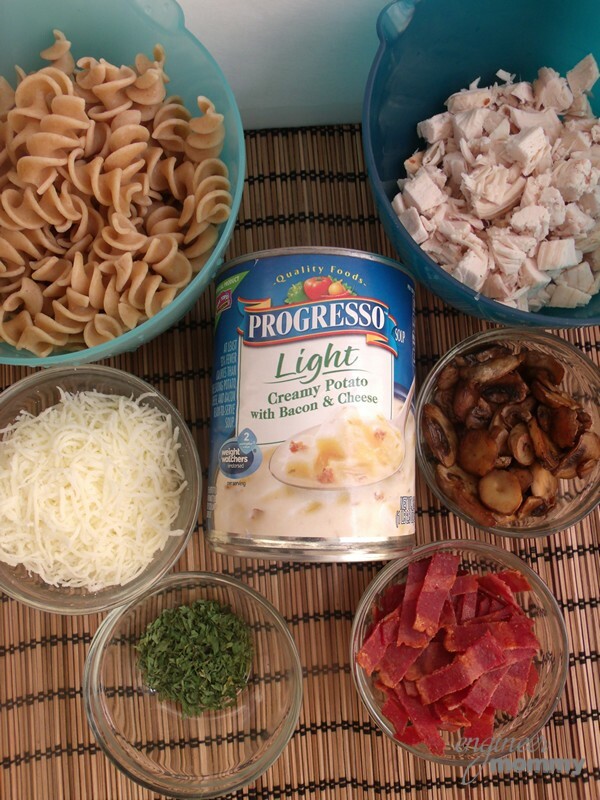 Now, see all the delicious flavors of Progresso® Light soups and tell me: Which flavor is your favorite? Which would you like to try this Winter?! These are great tips when cooking skinny cheese chicken casserole! 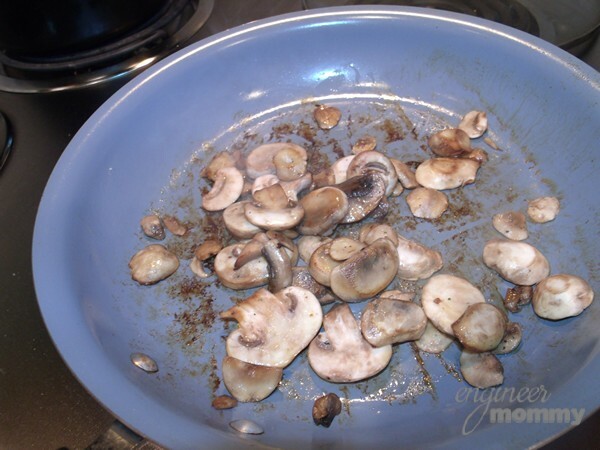 I also do that when using meat and mushroom in a recipe, fry the meat then use the same pot/ pan to fry the mushroom. Yes it’s a great way to infuse some extra flavor into another layer of the dish! Minus the mushies, that looks pretty damn good 😀 Gonna have to show this to the hubby since he does the cooking around here. Thanks! 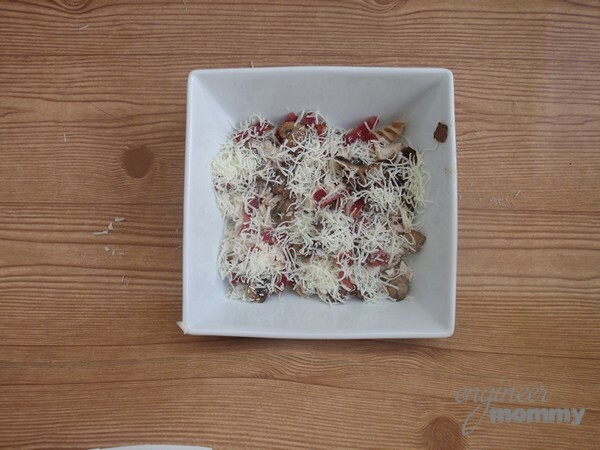 You can easily omit the mushrooms from this recipe! This is a great recipe! 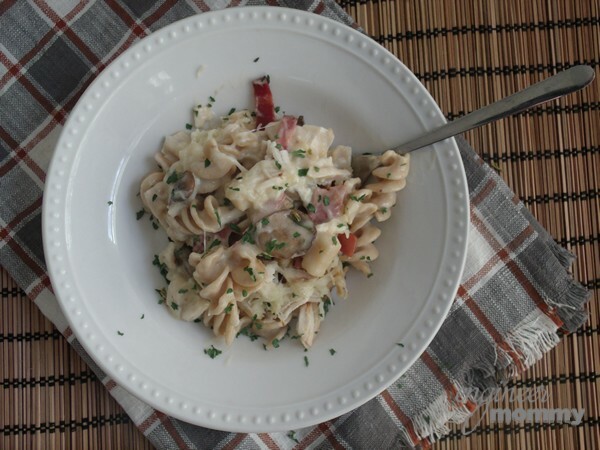 Definitely an easy one-pot type meal that could be thrown together quickly. Thanks for this! It’s easy to prepare but tastes amazing!! I have to say…that is a fantastic meal! I am so tempted to go to the store right now and stock up on Progresso soup! I had no idea I could make a Skinny Cheesy Chicken Casserole! Thanks for sharing! This looks like a great dish. I love it when you can get great flavors out of a dish that isn’t too difficult to prepare! 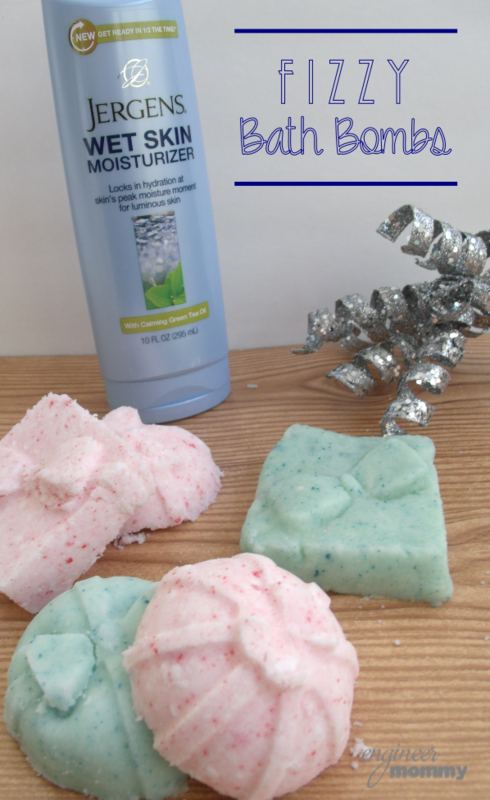 This looks so good and pretty easy to make! I will add this to my list of dinners this week! I love cooking with soup in the winter. I also love that they come with box tops. I’m addicted to collecting them for the kids school. This sounds so good! I am have been looking for a new chicken casserole recipe. I am going to add this to our meal plan for next week! That looks so good! It doesn’t seem healthy which makes it even better. I love mushrooms! It definitely looks and tastes decadent but it’s surprisingly good-for-you! We love casseroles in our house. This one looks amazing. I’m booking marking it to try over the weekend. This looks so yummy! My stomach is making some funny noises lol 😀 Off to pin this for now. Thanks for the recipe. This recipe looks amazing yet fairly straight forward (something I could actually make). I love that Progresso have a light soup so we can opt for the healthier choic. We love Progresso in this house. We have about 20 cans in our pantry at all times! We bought about 10 tonight because there was an awesome sale and we had coupons!! What a great looking casserole. My husband would love it for the bacon alone, lol! Yumm… Sounds like a great recipe! I will try it in my kitchen too. Thanks for sharing! Looks so delicious! This recipe I’m sure would be loved by my family. 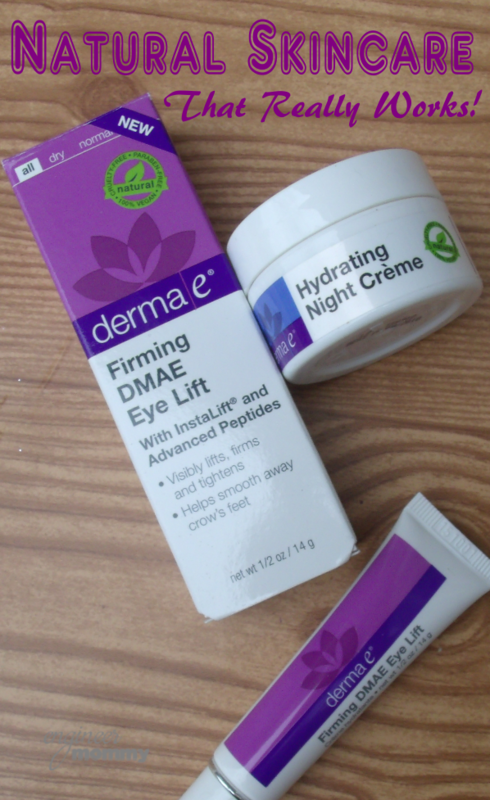 Can’t wait to try it out. This looks like a delicious family meal! My kids love casseroles. I personally don’t eat chicken but I love the combo of chicken and mushrooms! That casserole sounds so good. I know my whole family would absolutely LOVE it.